Let’s be honest - if hand addressing were cheap, everyone would do it. 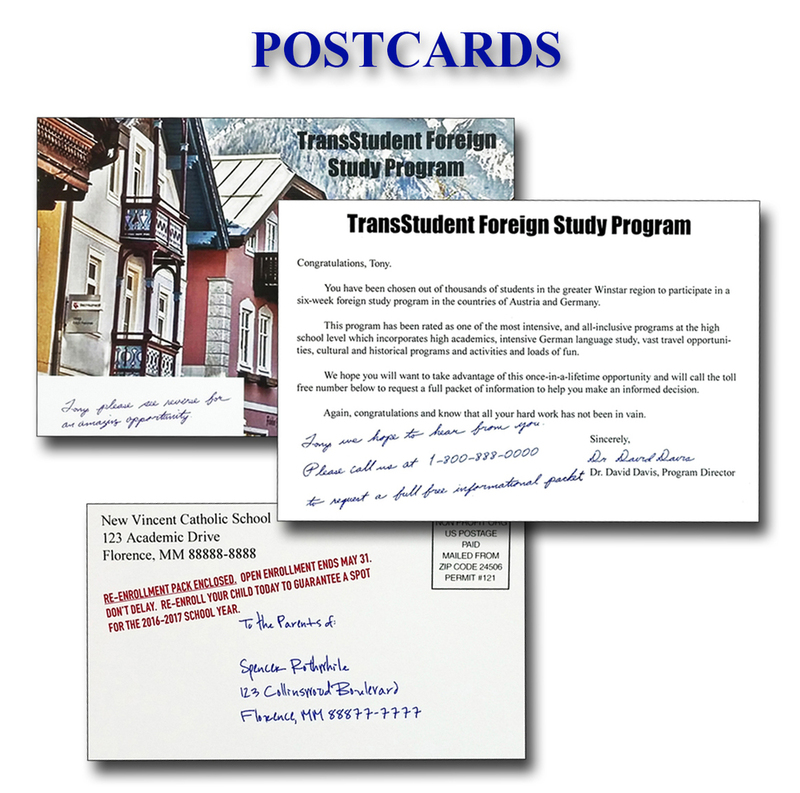 Save time and money by using our state-of-the-art Real Pen technology. Check out the Real Pen in action! 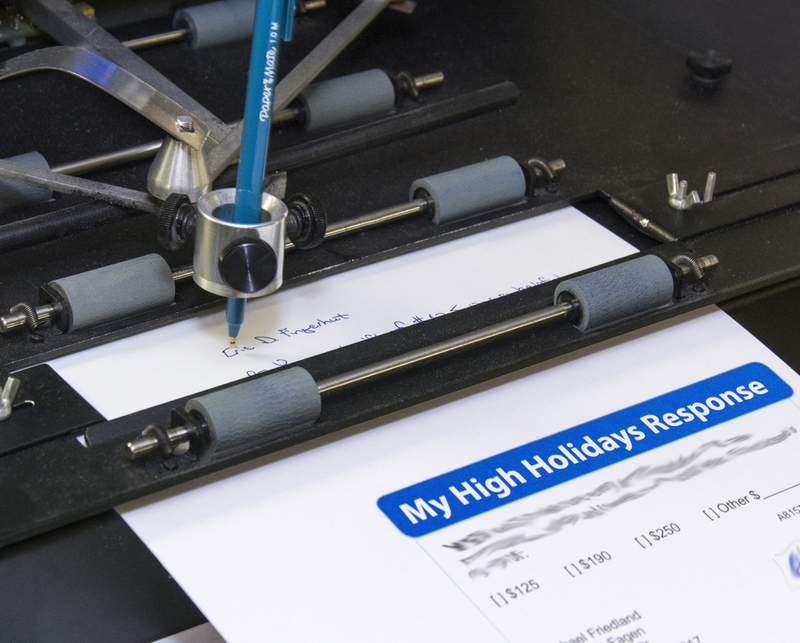 Our Real Pen machines replicate the appearance of real handwriting for a fraction of the cost. The Real Pen writes full variable text up to 8 inches wide and 15 inches long, and uses multiple handwriting fonts and even multiple signatures, which allows your piece to be customized down to the smallest detail. 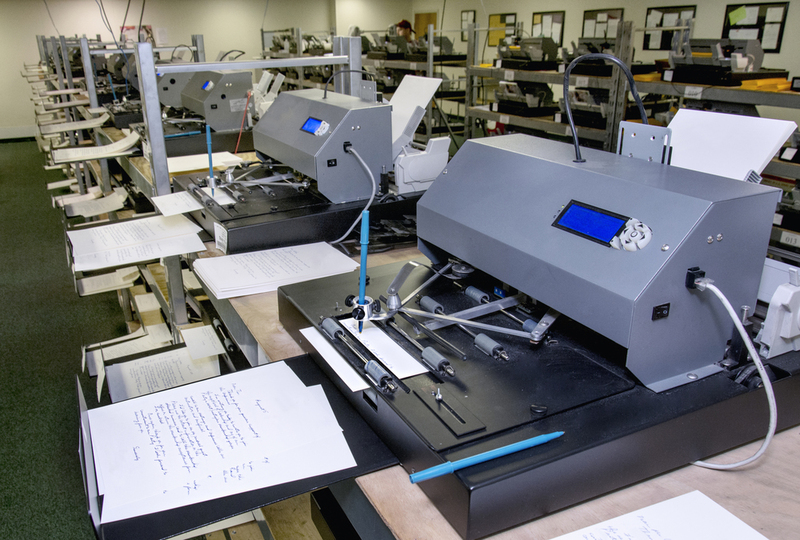 Now is a great time to realize the benefit of the Real Pen machines without the real cost. to schedule a tour of our facility and see the pens in action for yourself, or request samples. 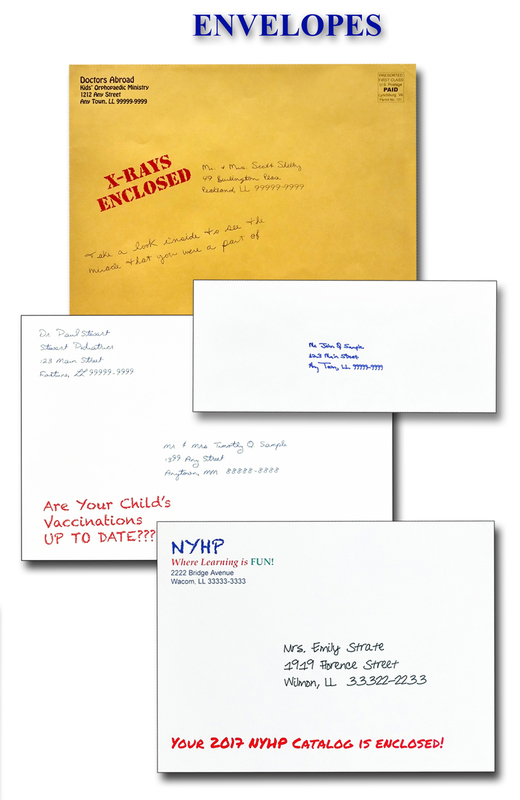 After your mailing has been spruced up by the Real Pen, remember that you can count on us for all of your other personalization and mail shop needs. 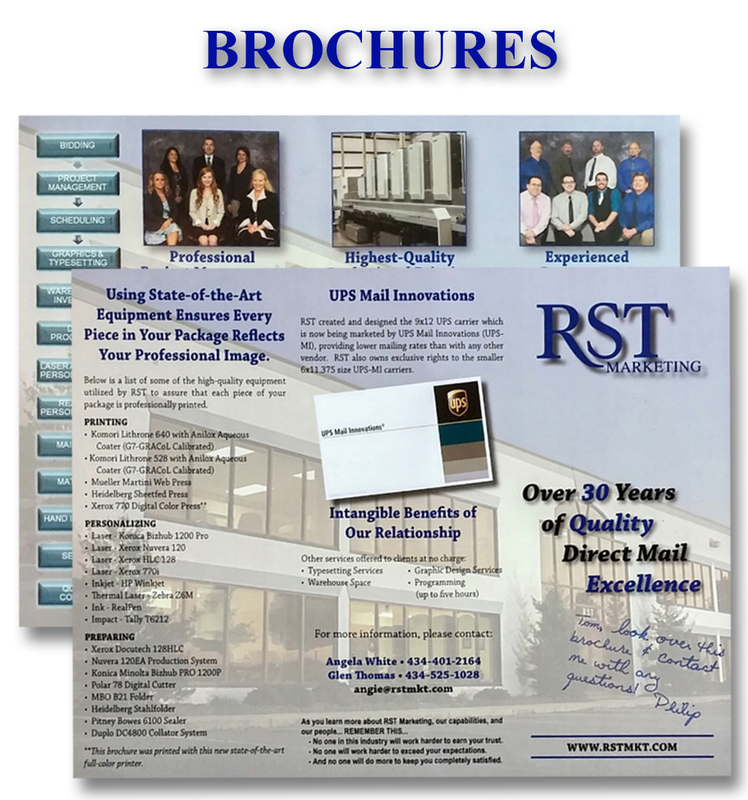 With more than 25 years in business serving clients like you, we can assure you the best quality and fastest turnaround. Now is a great time to realize the benefit of the Real Pen machines without the added expense. 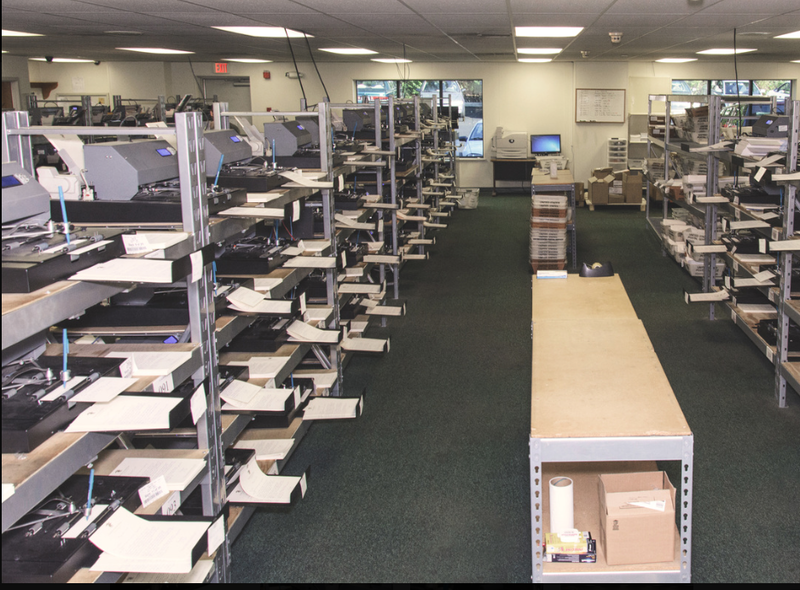 Contact us to schedule a tour of our facility in Forest, Virginia to see the Real Pen machines in action for yourself or to request samples. Any pen “off the shelf" you can find! 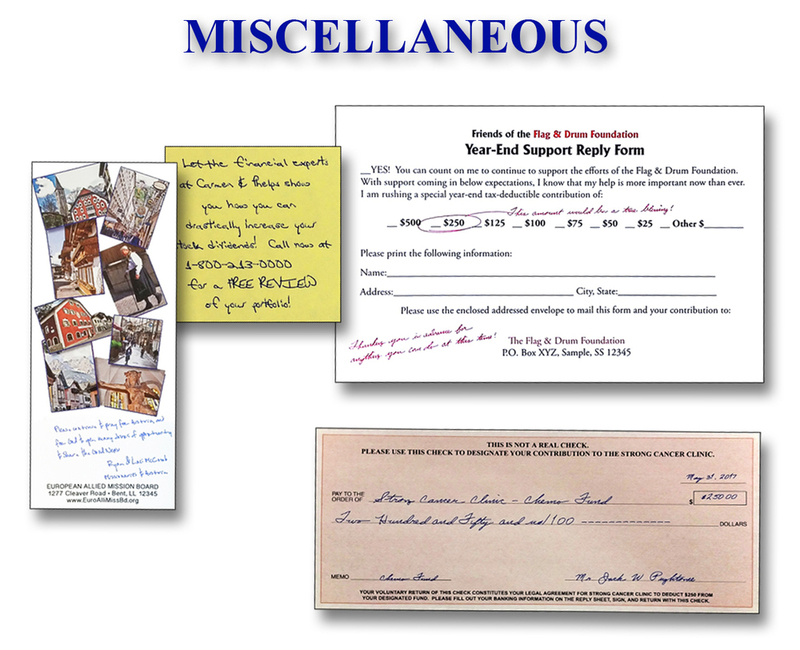 Paper sizes from 3" x 3" to 8.5" x 14"
Envelope sizes from 6.5" x 3.5" to 13" x 10"